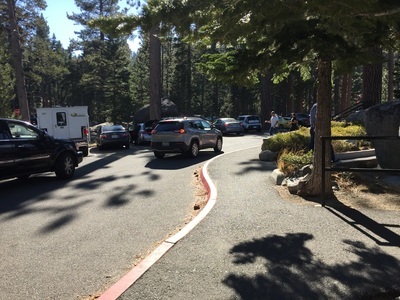 Parking: Free parking lot available at the address above, but it gets crowded so go early to get a spot. 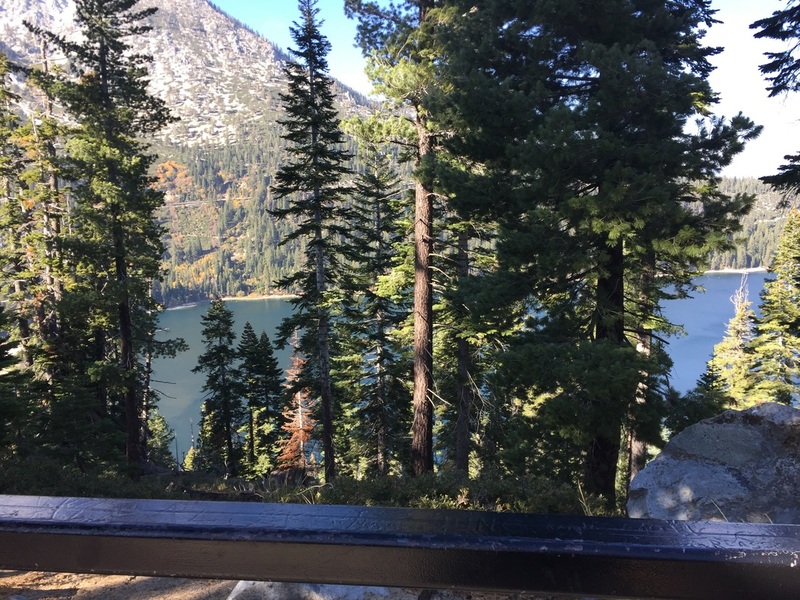 Best time to visit: October was perfect. 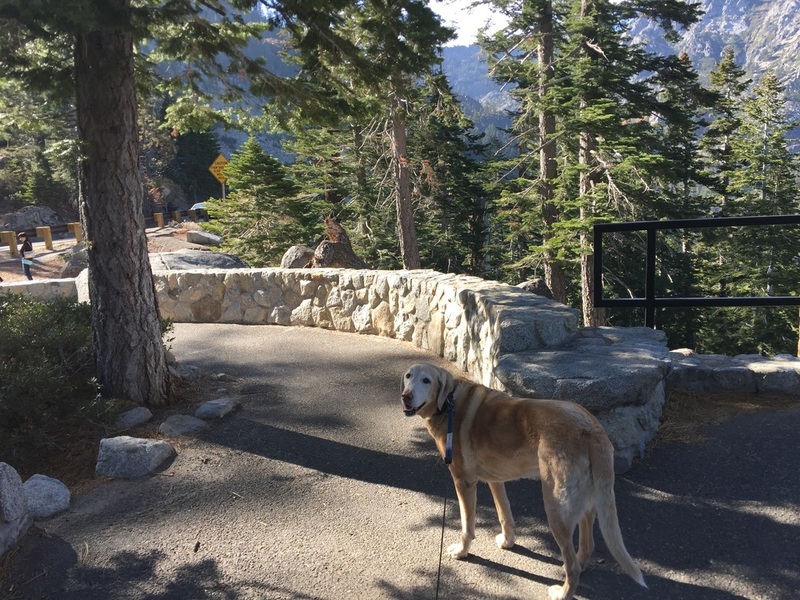 The highway may be closed during winter, so check road conditions. 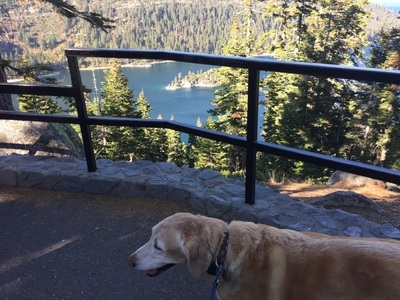 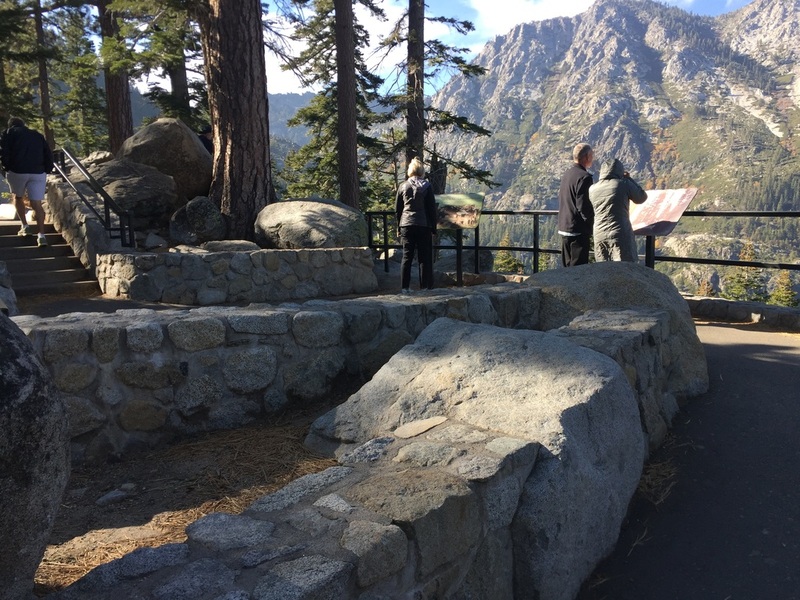 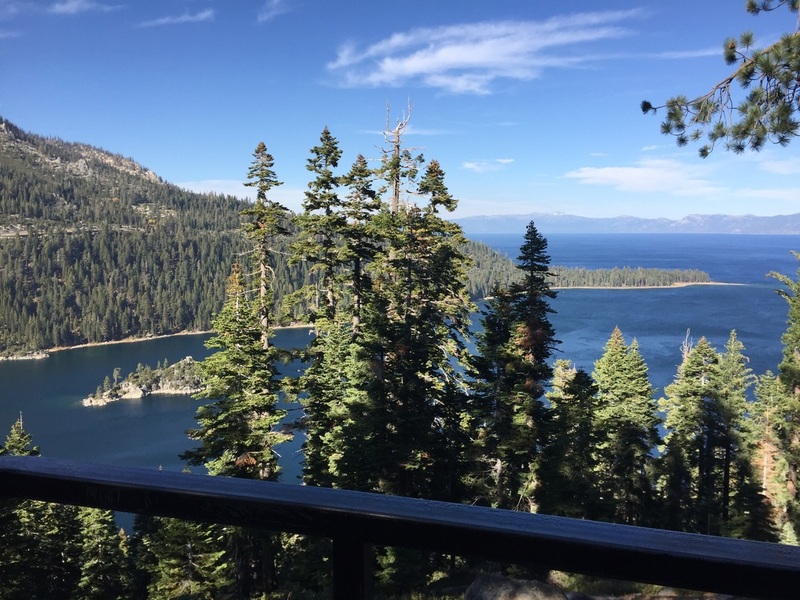 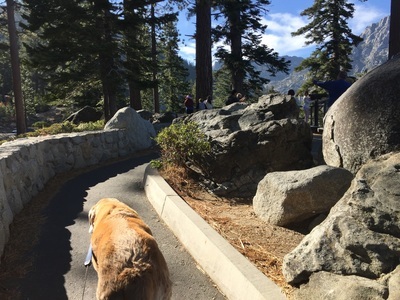 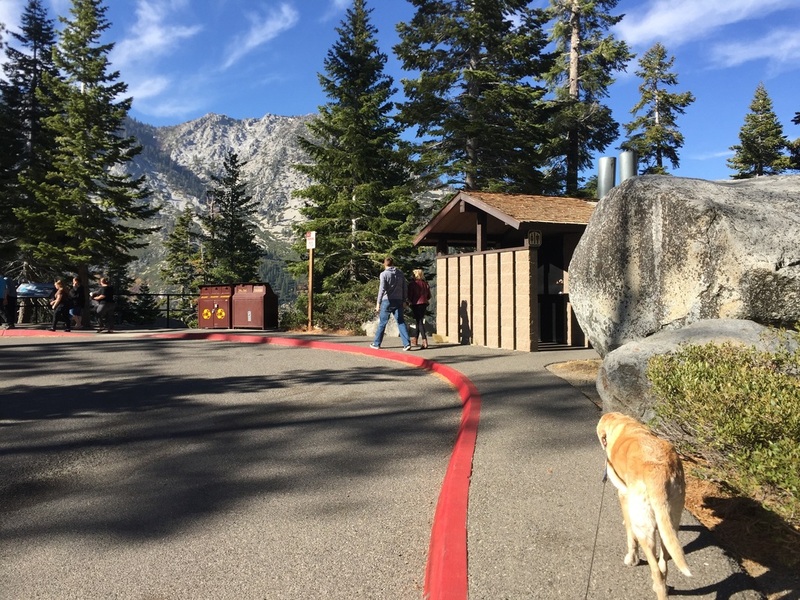 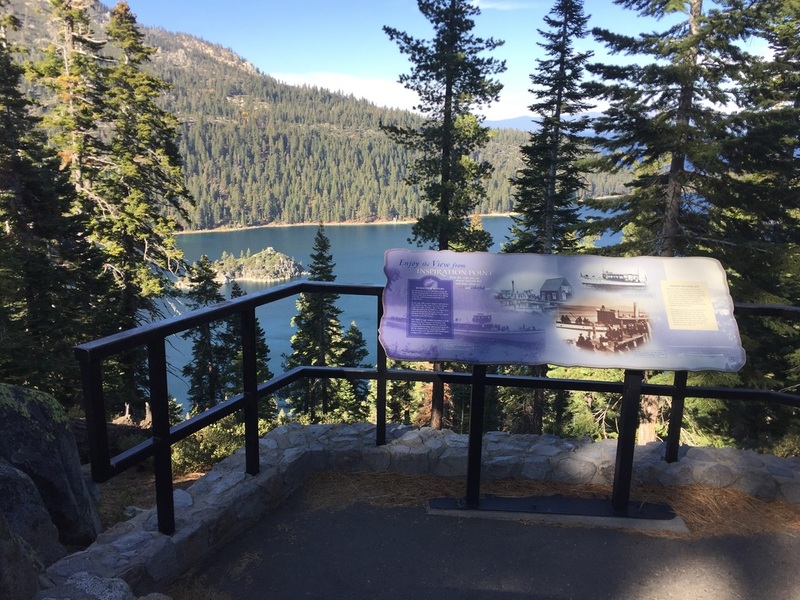 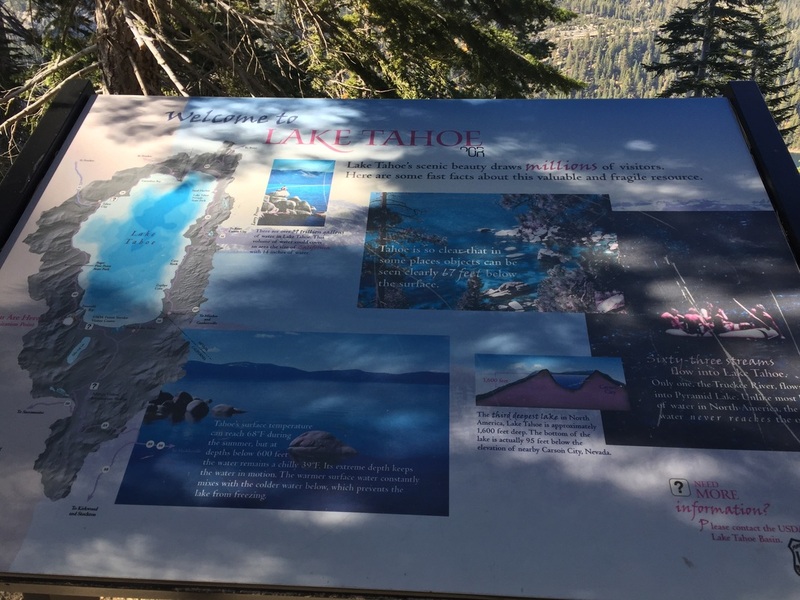 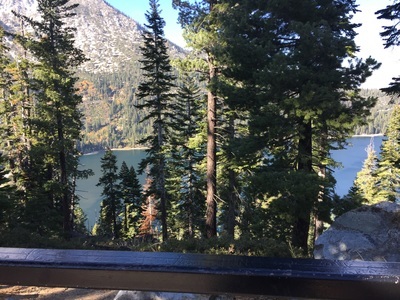 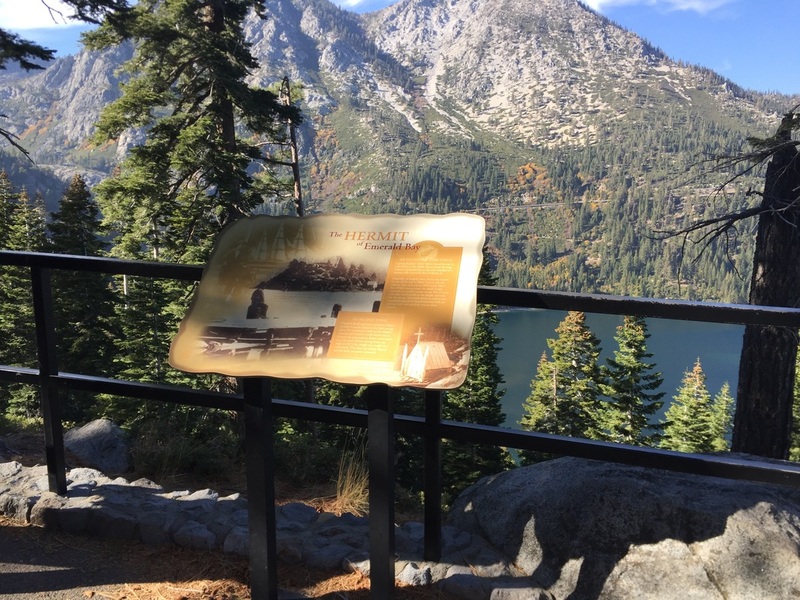 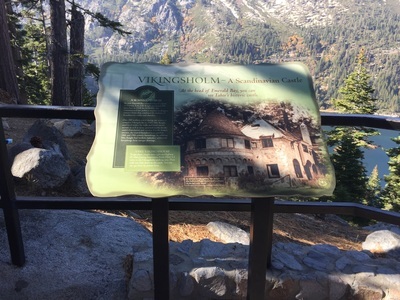 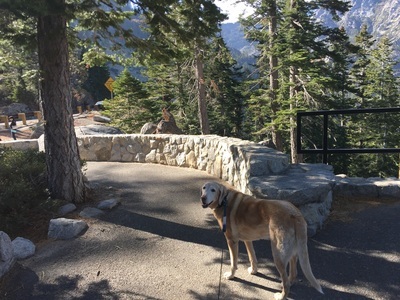 Description: This is a beautiful lookout point 600 feet above Lake Tahoe overlooking Emerald Bay. The walkway is paved and it’s a short loop around the lookout point, with perfect viewpoints for pictures. 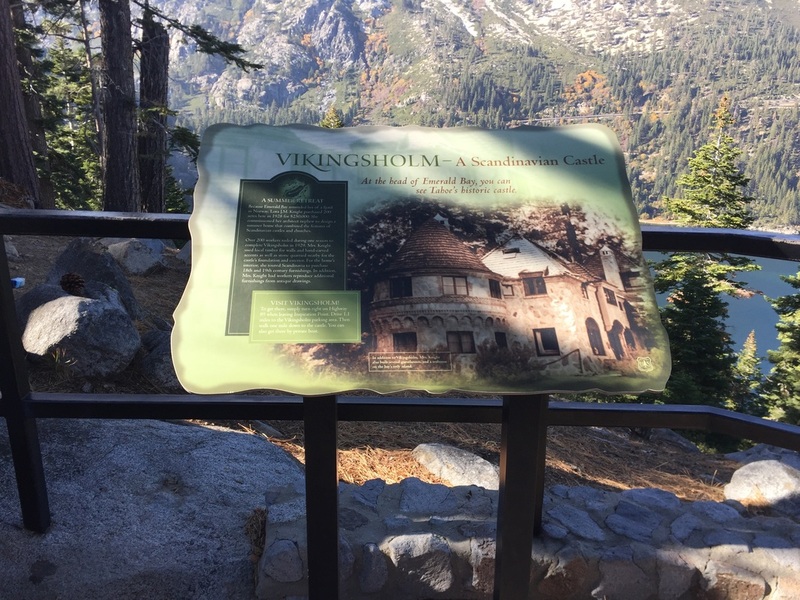 There’s a lot of history here with plenty of signage to read. 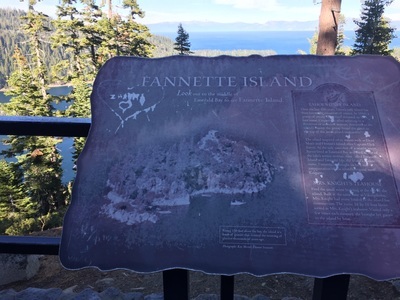 You can look down on Vikingsholm Castle across the lake, as well as the miniature castle on top of Fannette Island. 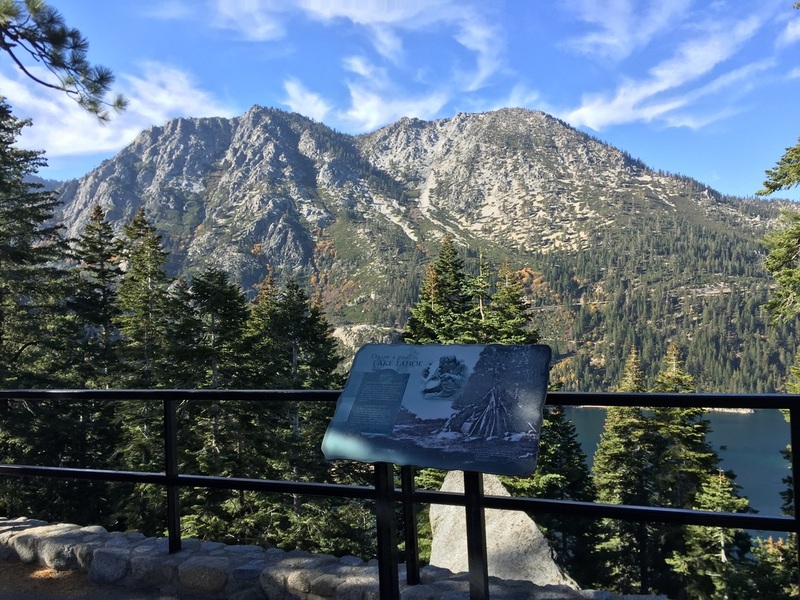 This is a great stop to stretch your legs during a road trip, and worth a visit if you’re across the street hiking Cascade Falls. 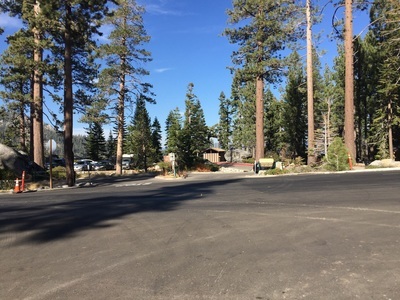 There are pit toilets available near the parking lot. 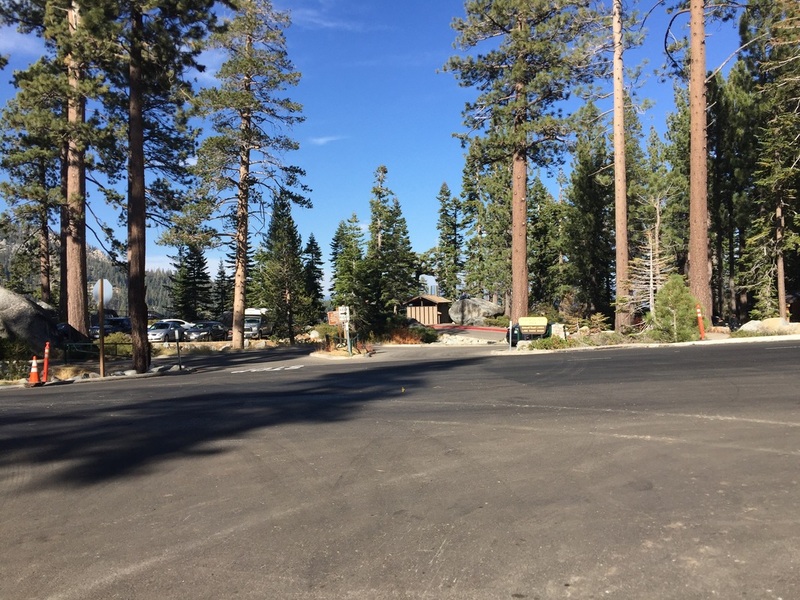 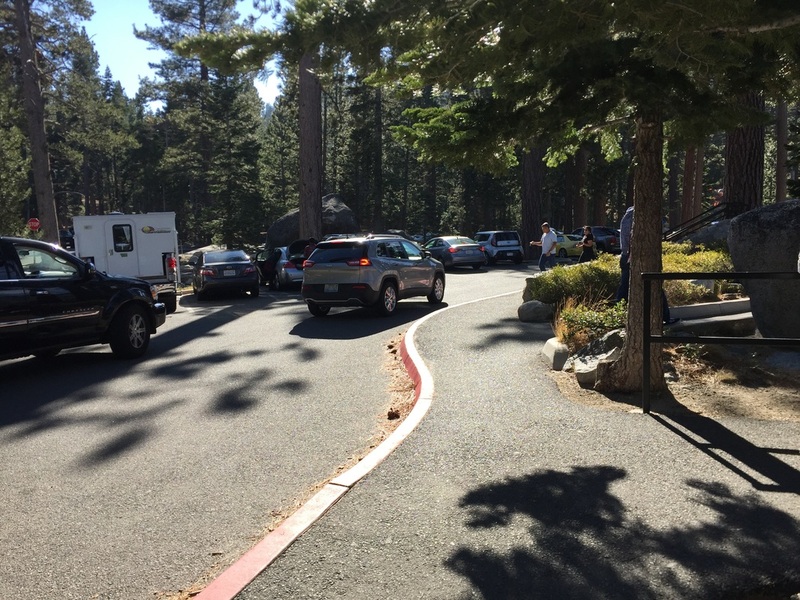 No running water, but water may be available in the campground across the street (seasonally).